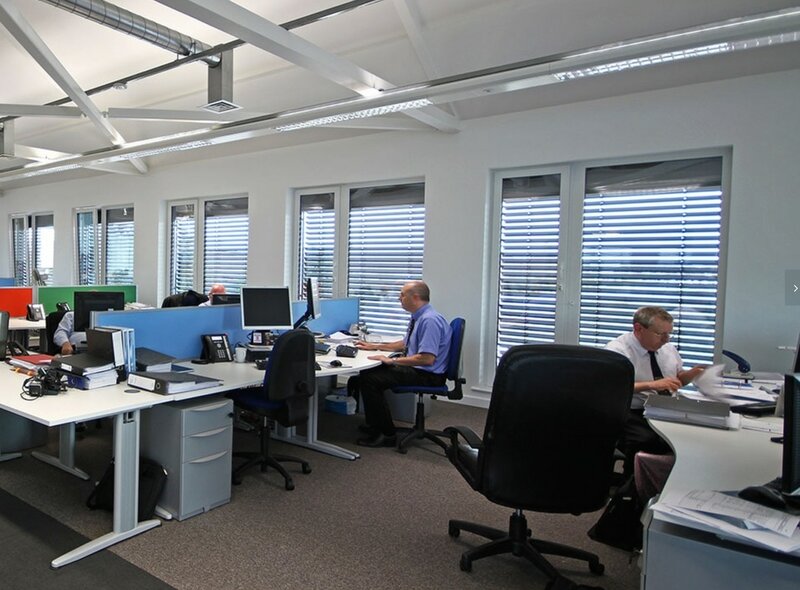 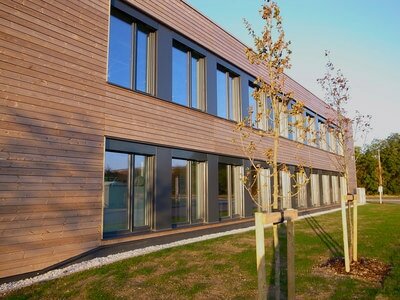 Interserve and CPMG Architects wanted to build a Carbon Negative Office Building at Watermead Business Park in Leicestershire. 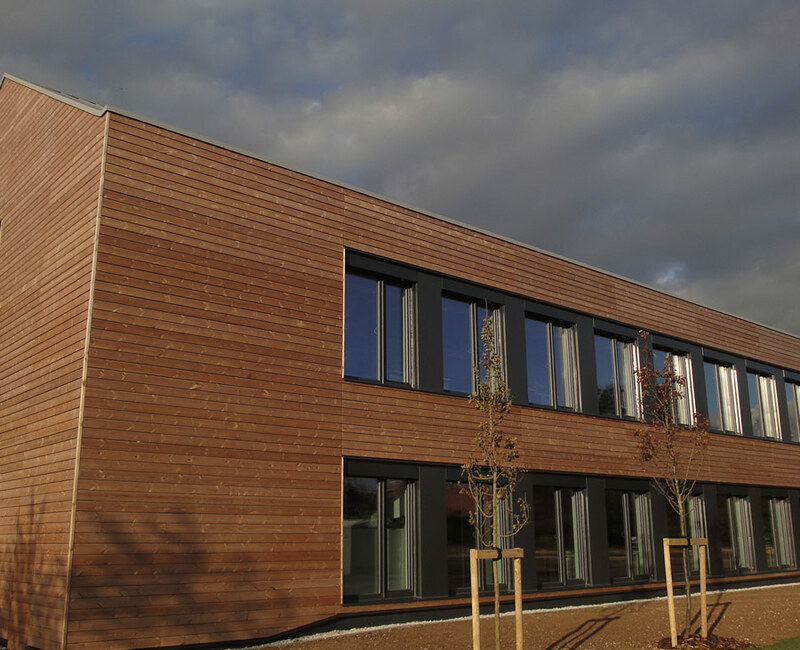 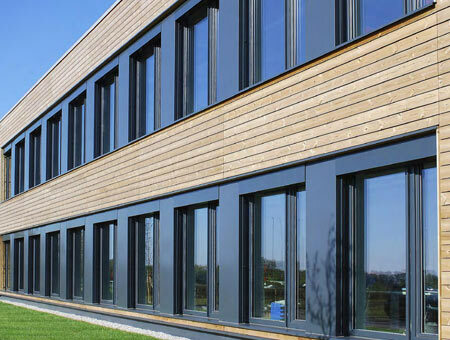 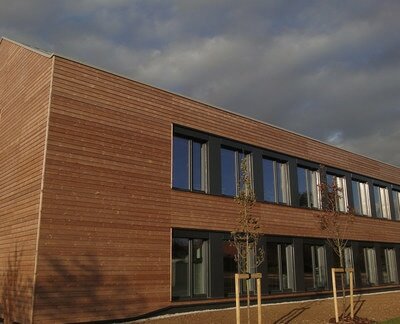 This a very low energy office building using the PassivHaus energy concept. 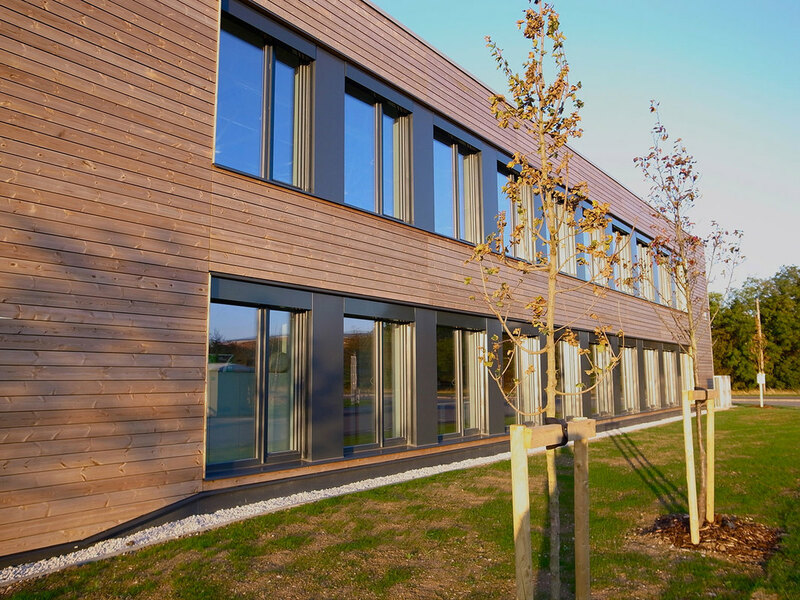 In order to achieve PassivHaus certification, buildings must achieve an actual reduction in energy use of 80% in comparison to current UK best practice. The blocks that form the ARKPRO substrate were supplied with Celotex PIR Insulation incorporated into the 365mm wide unit which not only reduced the U Value to 0.15 but also ensured that the insulation remained in the correct position throughout the construction process. 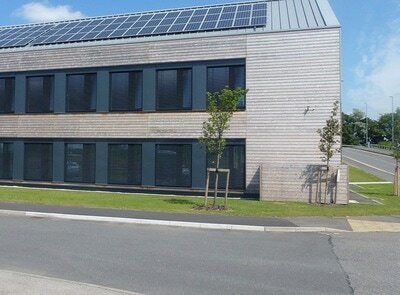 ​This will serve the tenant Interserve over £20,000 pa on their heating cost swell as CO2 emission reduction of 92 tonnes compared to their current offices of similar sizes. 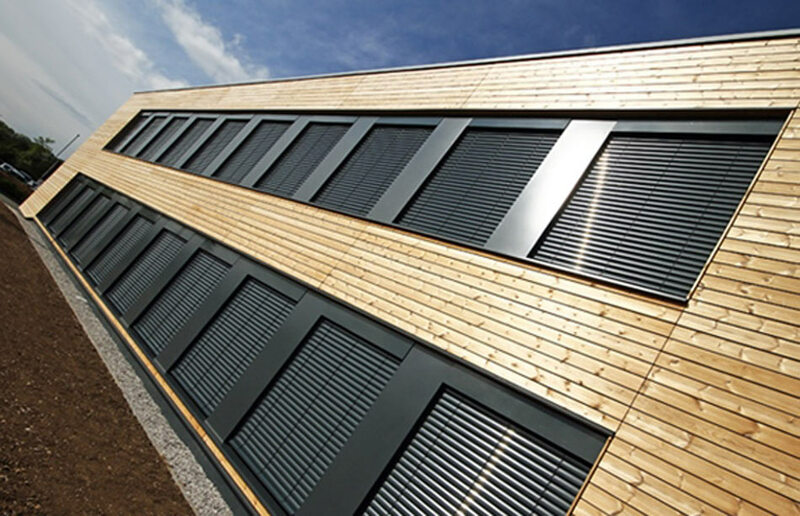 The building actually uses so little energy it has been possible to make it carbon negative by installing some photovoltaic panels on the roof. 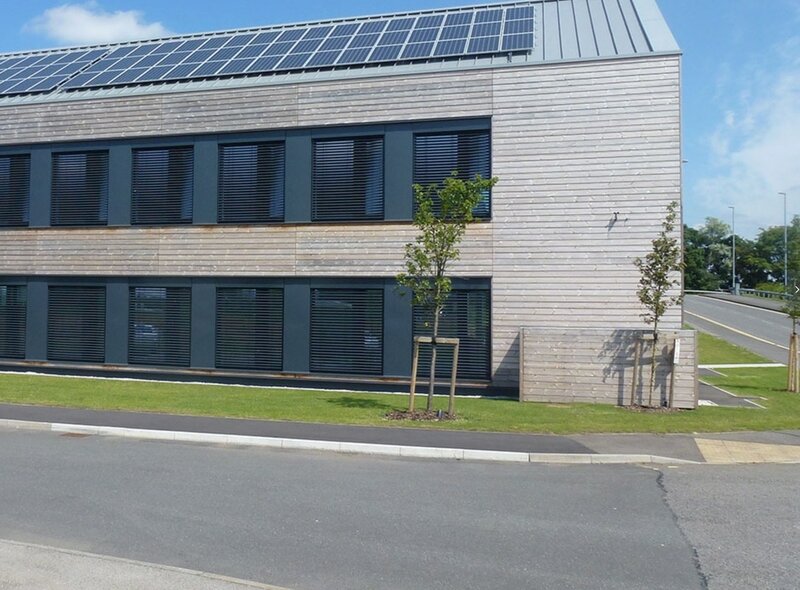 The building now has an EPC rating of -2 (A+) and is expected to generate negative annual energy costs of approximately £2,800. Total heating energy demand must be no greater than 15kWh/m2/yr. (CIBSE F Guide table 20.3.1 suggests 79kWh/m2/year as UK best practice). Primary energy demand must be no greater than 120kWh/m2/yr. 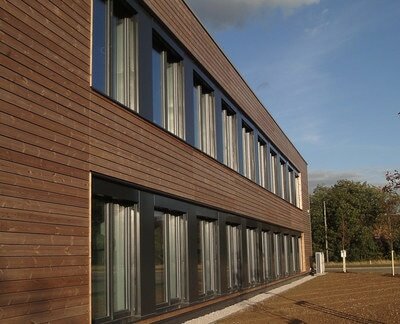 Air tightness must be no greater than 0.6 A/C/hr 25oC to be exceeded internally for less than 10% of the year. 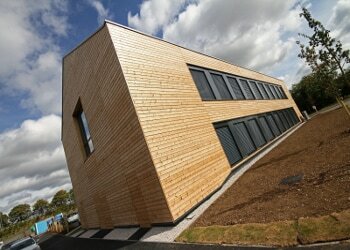 The Air Tightness of ARKPRO aids this objective.